Nigerian banks are upping their tech suaveness a lot these days. Fidelity Bank is the latest company to join the tech-savvy train. The bank recently developed Fidelity Flashkey, a new keyboard that makes sending money only a click away, literally. Flashkey is an interesting tool. With the tool, users would not have to go all the way on a Fidelity bank app to make transactions, such as bills payments, airtime recharge, or even funds transfer. With the Flashkey keyboard, all these can now be done from just one button. Flashkey is part of the Fidelity Bank android mobile app. So, before you can use it the feature, you need to be a Fidelity Bank user. Sorry, GT Bank lovers. Once you install the app, you will need to login to begin the process. After logging in, you have to head over to the app’s settings and select “Activate Flashkey”. Once activated, you will need to ensure that Flashkey is your default keyboard app. And that’s it! You are all set up. 3. Go to settings & select "Activate Flashkey"
So when you are chatting or browsing the web, and need to make a transaction, all you need to do is click the Fidelity Bank logo at the bottom of the keyboard. Once clicked, you can make your transactions without even leaving your current app. This seems like a pretty impressive feature. And of course, it does show a techie and trendy behaviour that you wouldn’t easily see banks display. Yet, I still have plenty of reservations about Flashkey. My first reservation is that a keyboard shortcut to a banking transaction greatly exaggerates the need for payments solutions in Nigeria. Of course, people are increasingly conducting transactions on mobile platforms rather than at banking halls. Yet, it’s not the sort of activity that one really needs a keyboard shortcut for. I would really love to read what research nudged Fidelity into thinking this was a great idea. It’s not exactly bad though, but it’s not quite needed. 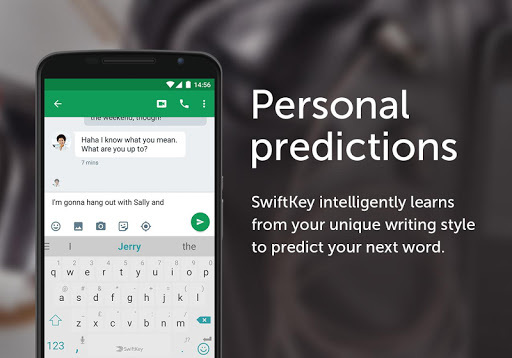 SwiftKey is one of the most popular Android keyboards in the marketplace. Can Flashkey measure up it Swift? Second is convincing users to leave their current keyboards for Flashkey. Flashkey is not a keyboard app; it is a feature that is part of the Fidelity bank app. Meanwhile, there are hundreds of apps in the app store sophisticatedly-designed for typing. Users, on their part, have carefully selected the one they currently use. Convincing them to drop their current keyboard app will be an uphill task. I know I won’t uninstall my Swift keyboard just to make a once-in-a-while transaction. Summarily, Flashkey is not a bad feature. If for anything, it shows that Nigerian banks are once again attempting to be innovative. However, I don’t see the feature gaining any traction. Why? Because getting users to change their keyboards will be a difficult task. 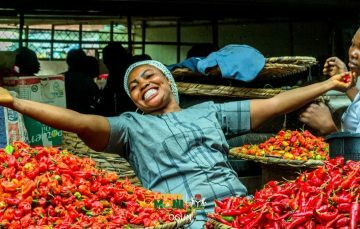 Is FG’s #TraderMoni a Commendable Micro-Economic Plan or a Mere Political Ruse?